A major shift at the very heart of Europe could be about to happen. But for once it's not party political... it's geographical. Since Croatia joined in 2013, the centre point of the European Union has been a small Bavarian town called Westerngrund. But all that may be about to change. The journey from Westerngrund to another tiny Bavarian location, the tiny hamlet of Gadheim, takes roughly an hour. And it's Gadheim that will take the accolade of centre point should the UK leave due to the Brexit process. The official centre of Europe is defined by the French Geographical Institute (IGN). And although it has moved several times as the Union developed and gained more members, it has remained in Germany since the expansion from 15 to 25 countries in 2004. On a nondescript piece of farmland, a pole is ready and waiting to hoist the EU flag at the exact spot set to become the bloc's new geographical centre. Gadheim's diminutive size means that it doesn't have a mayor, so it falls under the jurisdiction of local official Juergen Goetz, who is the mayor of nearby Veitshoechheim. He hopes the new title could put the village firmly on the map. "Of course we are counting on additional tourists coming to the region and in particular to Gadheim," he told Reuters. Local residents are getting excited too, with one even petitioning Goetz to make Theresa May an honorary citizen of Gadheim. "That's clearly a bit difficult. Of course, Gadheim has a reason to celebrate, but I think that for Europe as a whole it won't be a good day," he said. 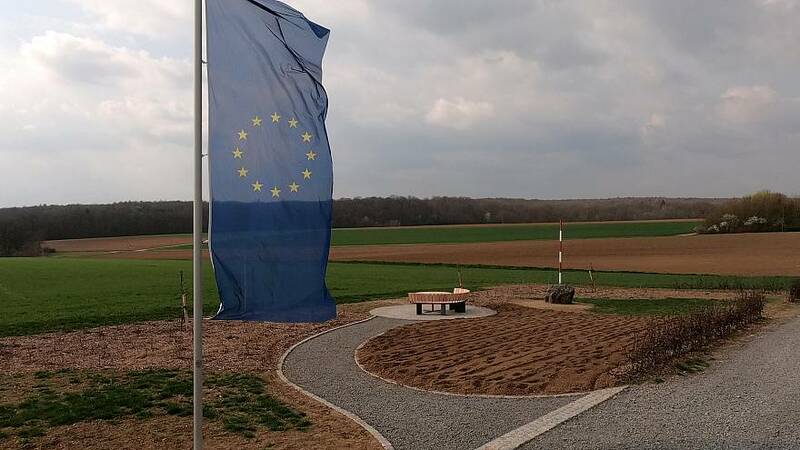 Excitement in little Gadheim, but spare a thought for Westerngrund where the exact spot is currently marked with a plaque, a map, and the EU flag, while multiple signs highlight its claim to fame. Those signs will all have to be changed if and when Brexit day finally comes to pass - but on the eve of an EU summit to determine whether to allow the UK to delay Brexit again, it looks like both Westerngrund and Gadheim have time.